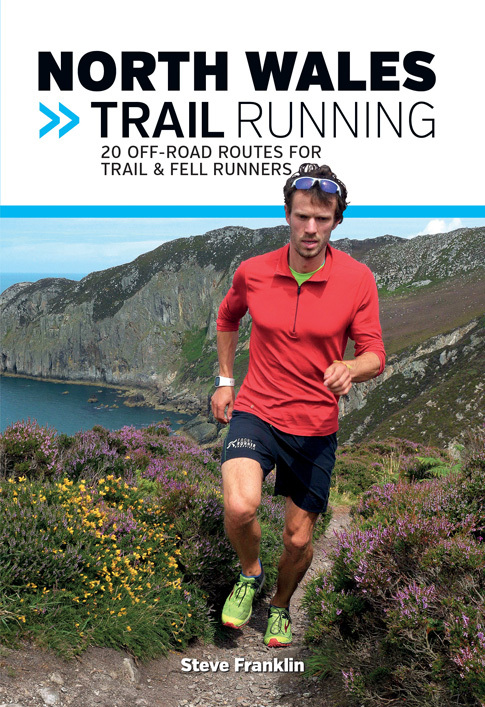 Following on from the successful Peak District Trail Running and Lake District Trail Running books there is now one for North Wales. 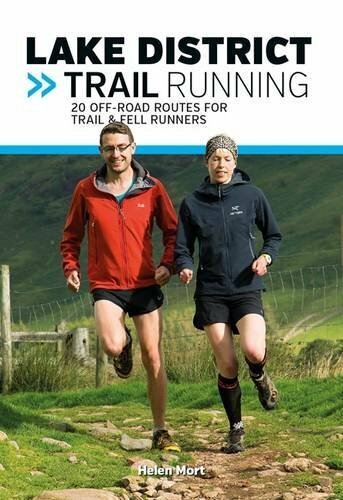 Written by experienced runner Steve Franklin, it follows the same format as the previous books detailing 20 trail and fell runs of various length and difficulty. Each route is described with easy to follow directions backed up by Ordnance Survey 1:25,000 map extracts. A brief overview of each route shows distance, ascent, estimated time it will take to run, the type of terrain you’ll encounter and how easy it is to navigate; whilst a graph shows the route profile so you know where the steep sections are! 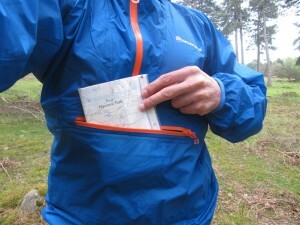 The guidebook is set out with the shortest route at the beginning and the longest one at the end which makes it easy to thumb through and select a route according to your preferred distance, and its small size means that you can easily slip it into a bumbag or pack if you want to take it with you on the trails. 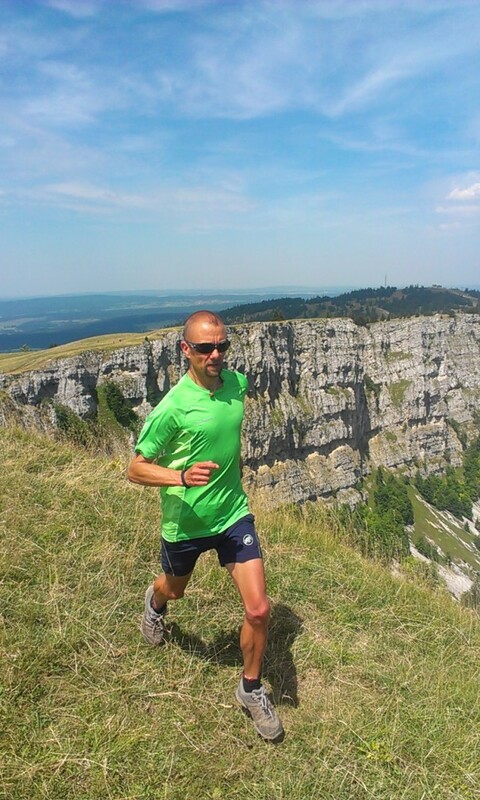 The colour photographs help give a flavour of what to expect: everything from easy forest trails to sea cliffs and more remote mountain terrain, and with routes ranging from 4km to 20km there is something for the beginner trail runner and the hardened fell runner alike. 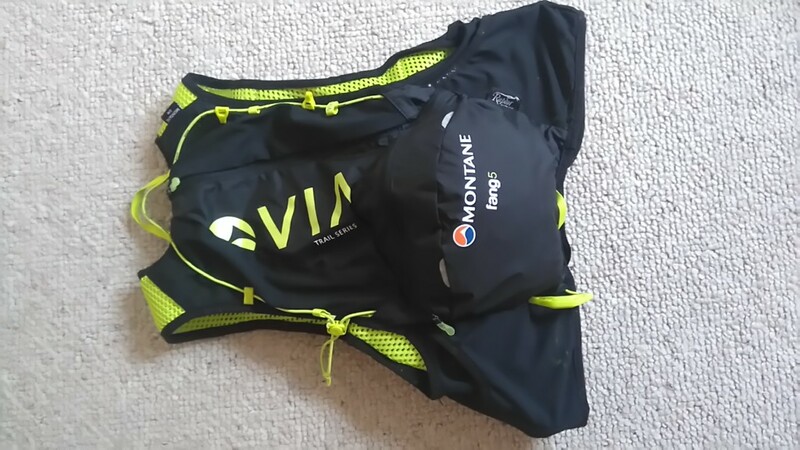 News of a great competition from Inov-8 which will give seven lucky runners a 5 day, all expenses paid trip to the Lake District. 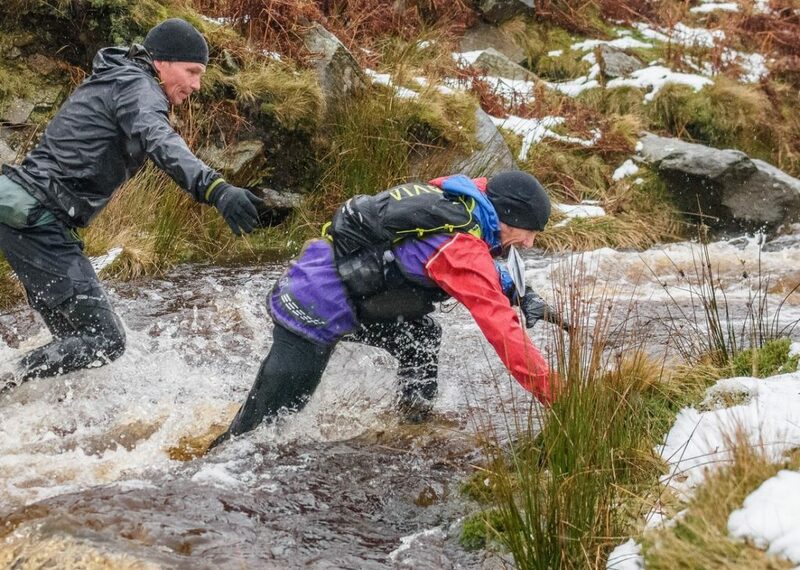 As team “Get a Grip” the winners will have the chance to learn tips from Inov-8’s top runners, test out new kit and take part in the classic Skiddaw fell race. It sounds like a fantastic way to spend the week! 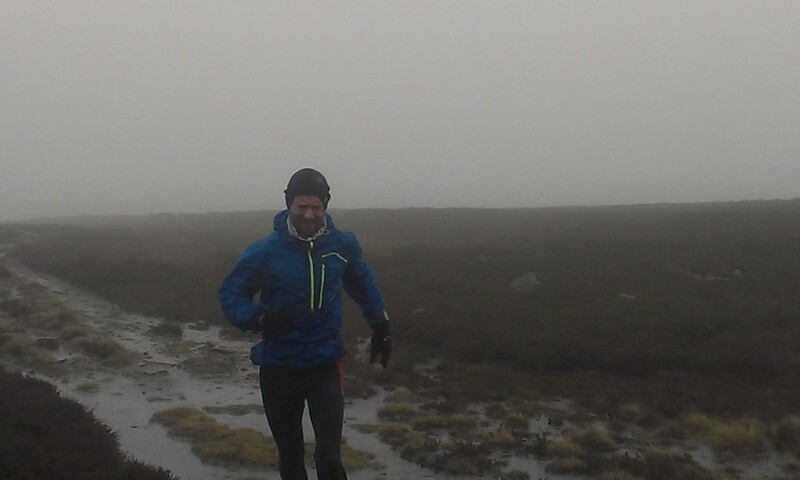 Grey, dull days, bad weather, long dark nights… It’s not very inspiring for running! grey, dull and not very inspiring! 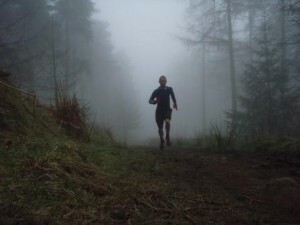 So with the long winter months ahead of us how do you stay motivated to get out running? 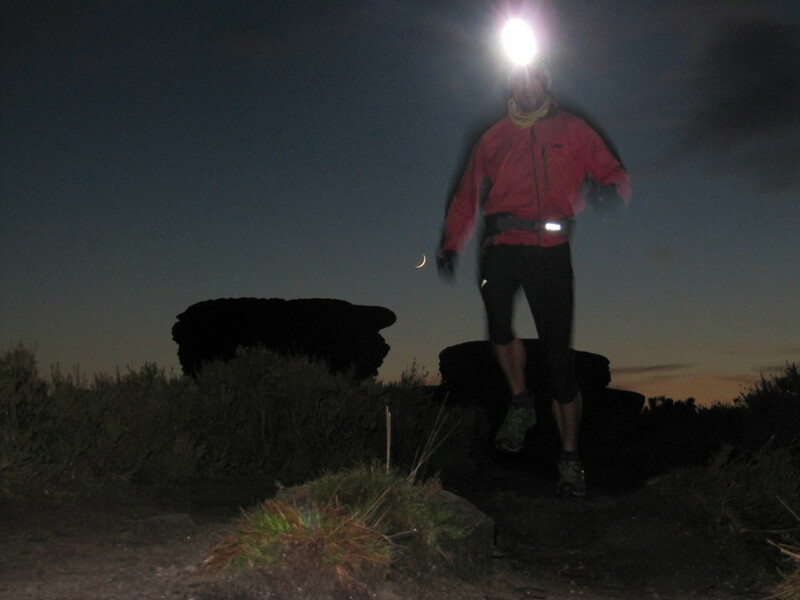 Here are 5 tips to help get you off the couch and onto the trails, even on the darkest of days. New kit always inspires you to use it so get set to tackle winter with some new toys! 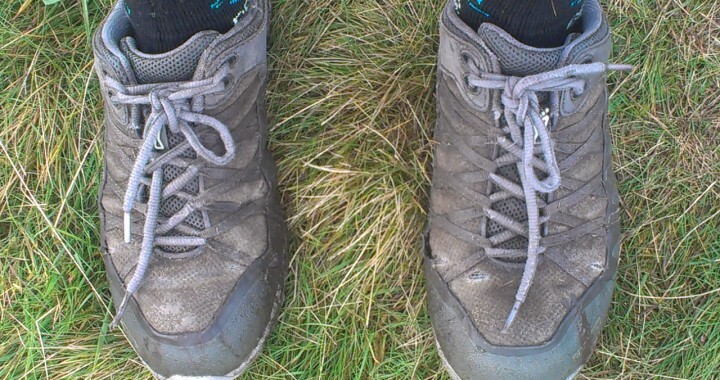 Go on you deserve a new waterproof, grippy shoes or even that fancy watch that counts how many calories you’ve used. 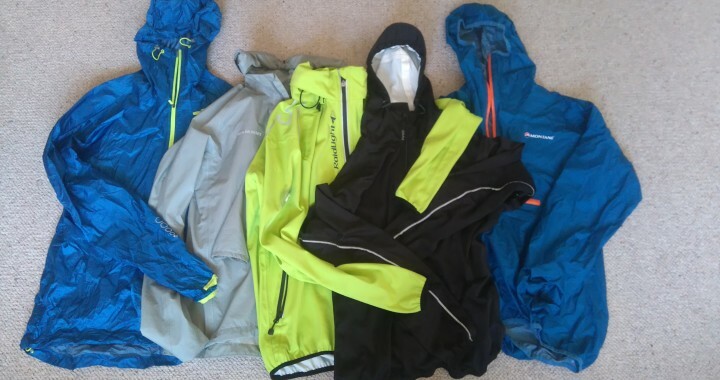 Or if you don’t want to spend that much then just a nice new base layer, warm gloves or even some new woolly socks will give you more reasons to get out running whatever the weather. 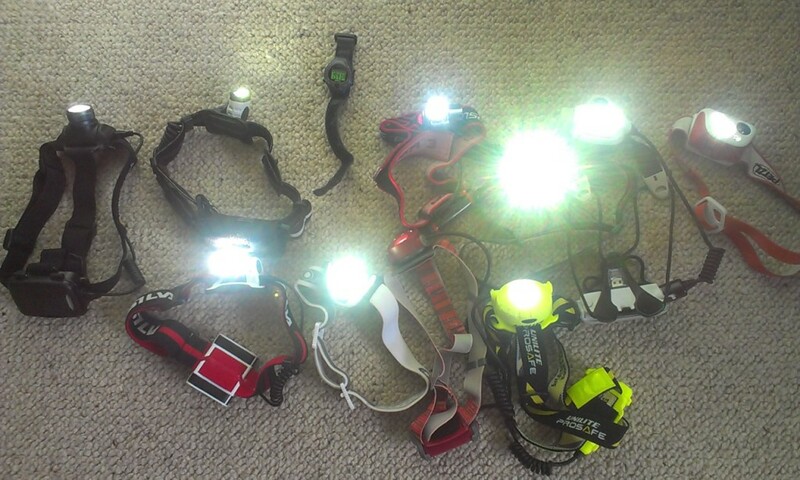 Just because it’s dark by the time you get home from work doesn’t mean you can’t still get out and run on the trails and fells. 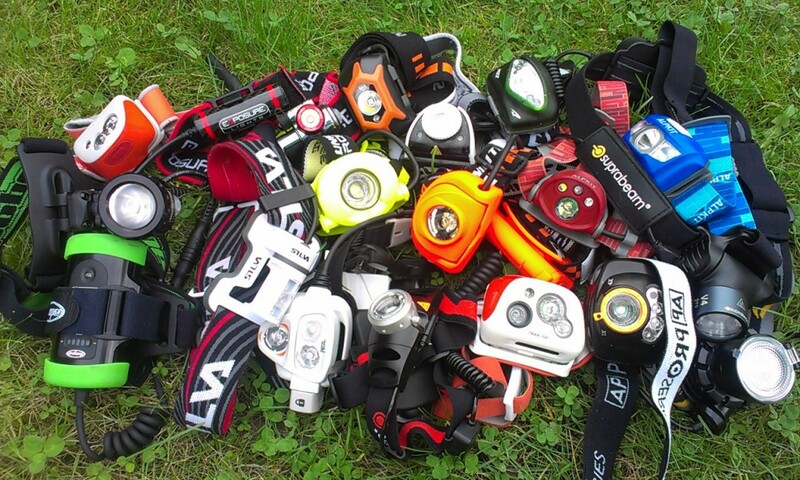 A reasonable head torch will give you enough light to carry on running through the winter months. 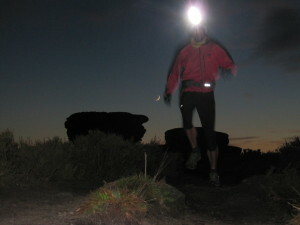 What’s more night running is exciting, your senses are more alert to sights and sounds that you might not notice in the day time. 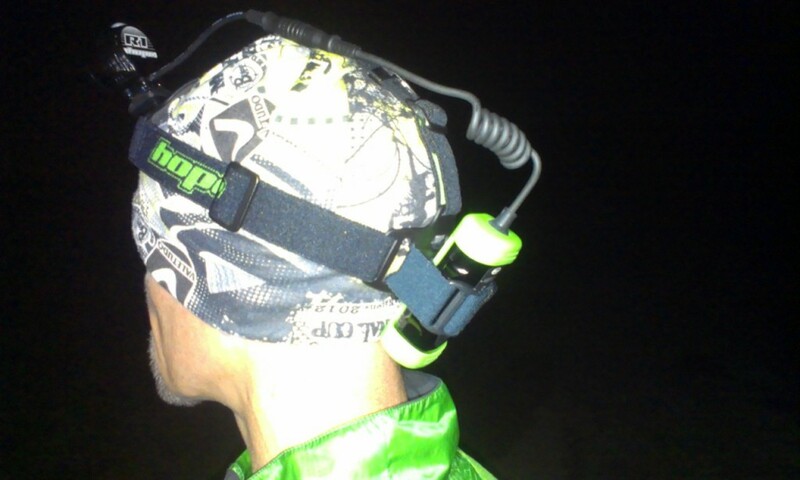 A run on a clear, cold night under a full moon is a fantastic experience! 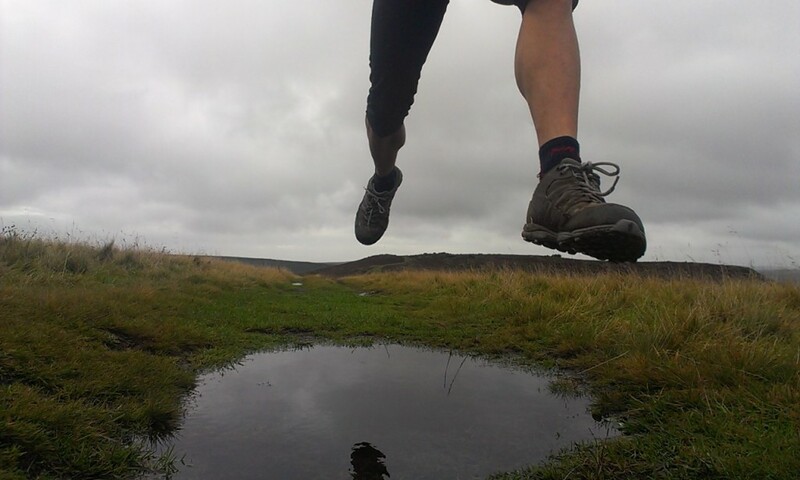 When it’s chucking it down outside it’s easy to make an excuse for not going for a run. But if you’ve made a plan to go and your mates are waiting for you then you’re more likely to make the effort to get out and not let them down. 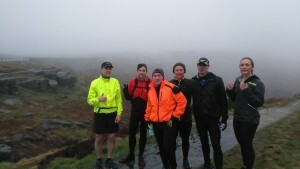 Having a regular slot in your diary each week for a social run gets you into the habit. If it chucks it down then you’re all in it together rather than struggling on alone. If the run finishes at a pub or cafe with a cosy fire you’ll soon forget how grim the weather is! 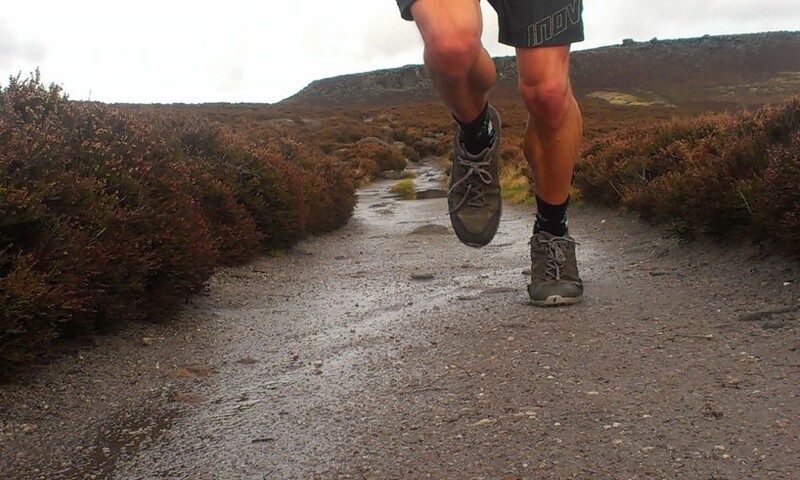 My favourite runs are out on the Peak District fells. 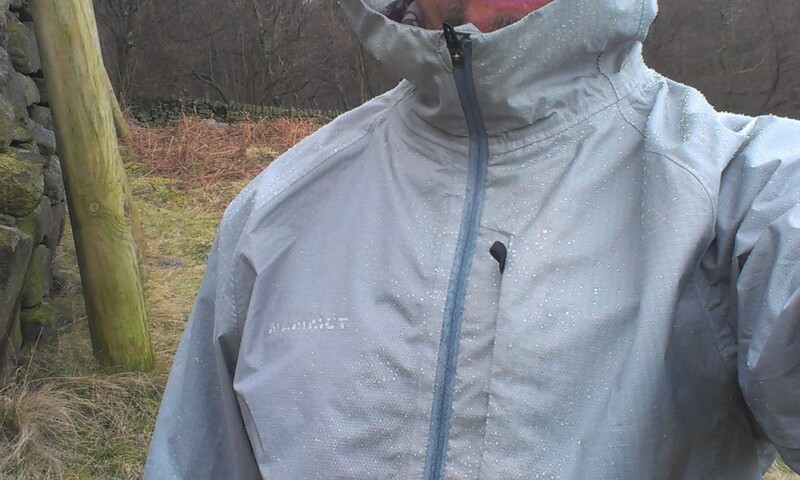 However when the weather’s wet and wild running there can be a real struggle so I head for more sheltered areas. 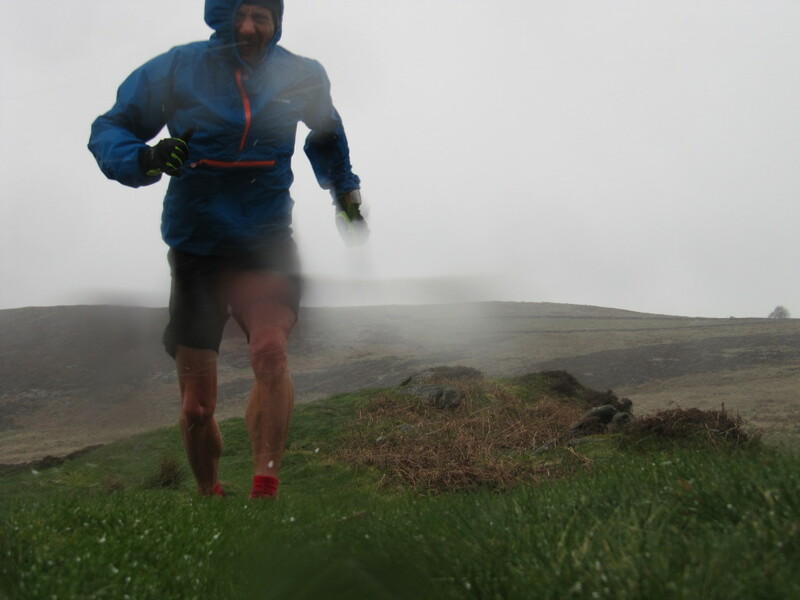 Running in woodland can give you shelter even on the windiest days whilst choosing low level valley routes will also keep you out of the worst of the elements. 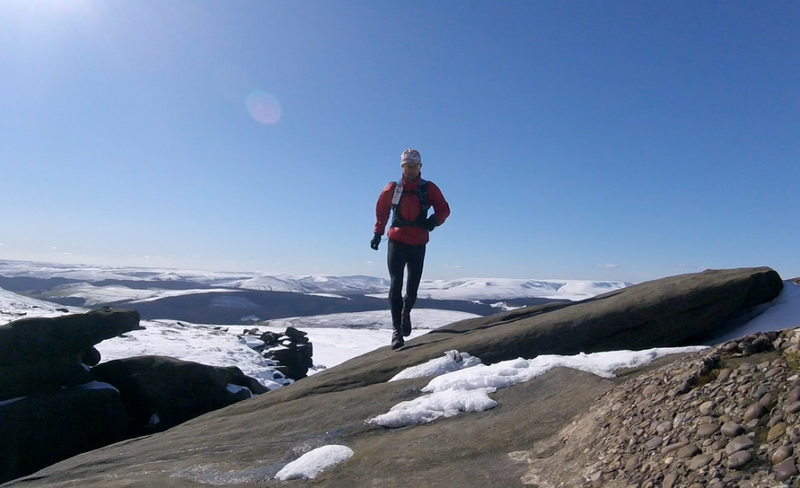 So if the forecast is bad then check out some new, less exposed places to run, you might even find some hidden gems that you would never know about if you stuck to your usual routes. Sometimes it’s hard to get motivated to run if you don’t have a purpose. If you know that you are training towards something then you’re more likely to keep at it. So, rather than just going through the motions have a look at the race calendar for next year and pick out an early event. 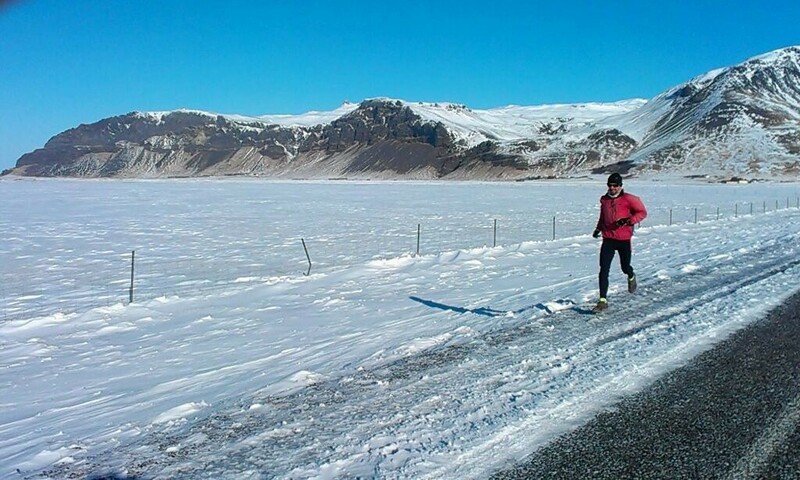 That way, even in the depths of winter you will be able to tell yourself that your run is preparation for the race. 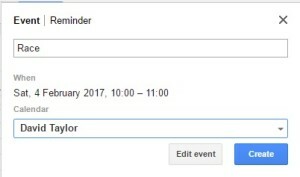 So with a little bit of self motivation you can make it through the dark winter months, and whilst there might be plenty of dull days there will be the odd day like this to look forward to! 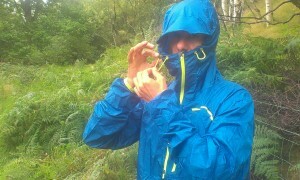 The British Summer gives a small window of opportunity for running on dry, hard packed trails. 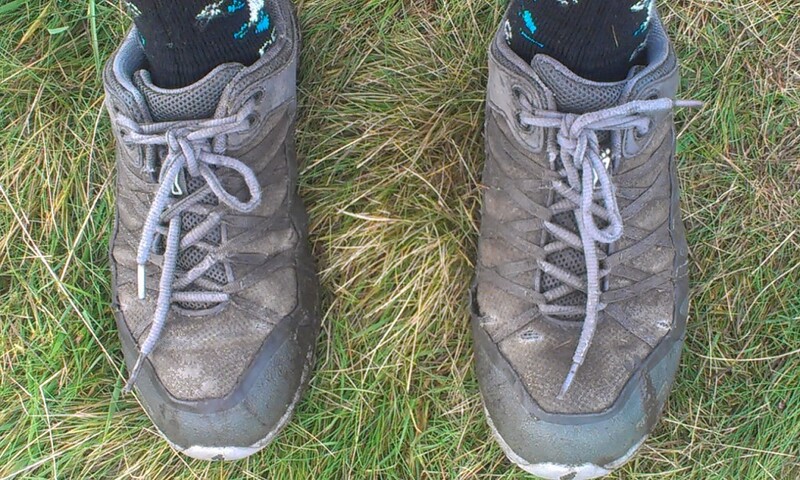 Most of the year I tend to wear a shoe with an aggressive tread to cope with the underfoot conditions of the moors and mountains where I work, train and race. 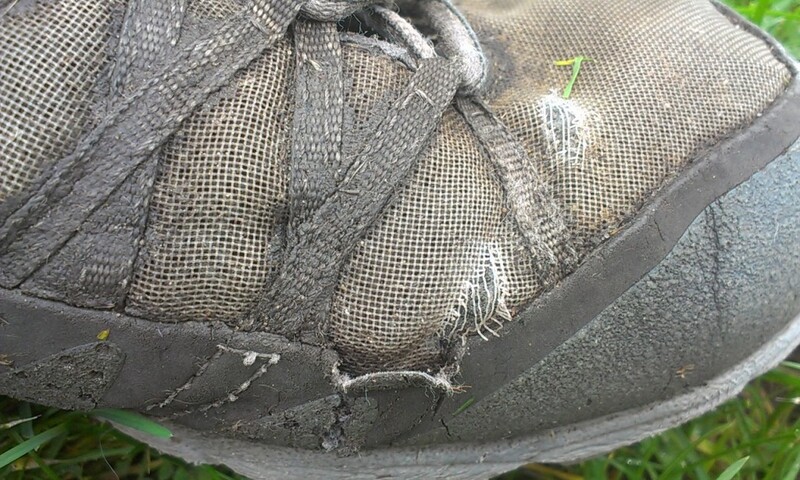 But what about a shoe for those few months when the sun shines and the trails dry out? 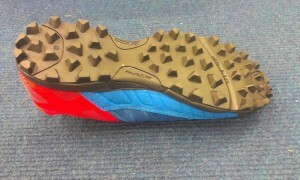 Step forward the Inov-8 Trail Talon 275. 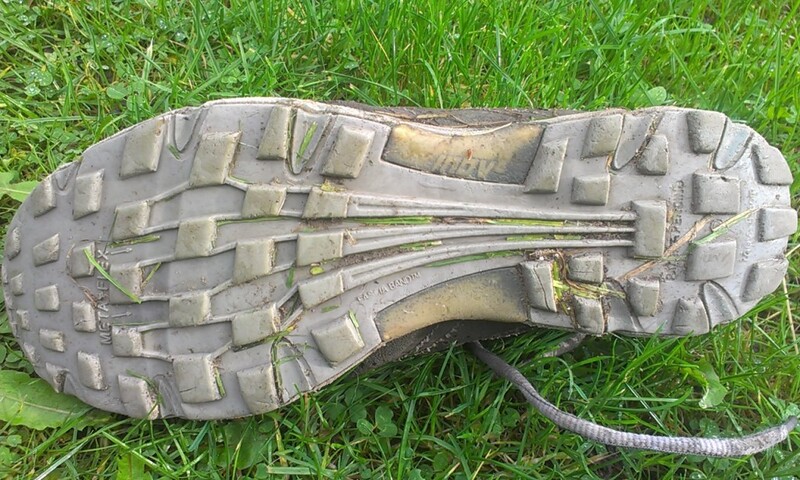 The Trail Talon is designed for hard packed trails. Lightweight (my size 6.5 tipped the scales at 272g) and comfortable it is ideal for long days out. 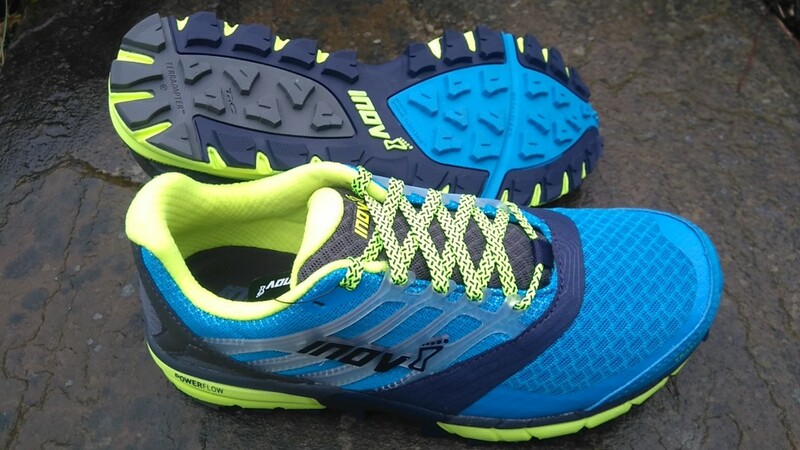 Inov-8’s “Standard Fit” gives plenty of room in the toe box suiting runners with wider feet. 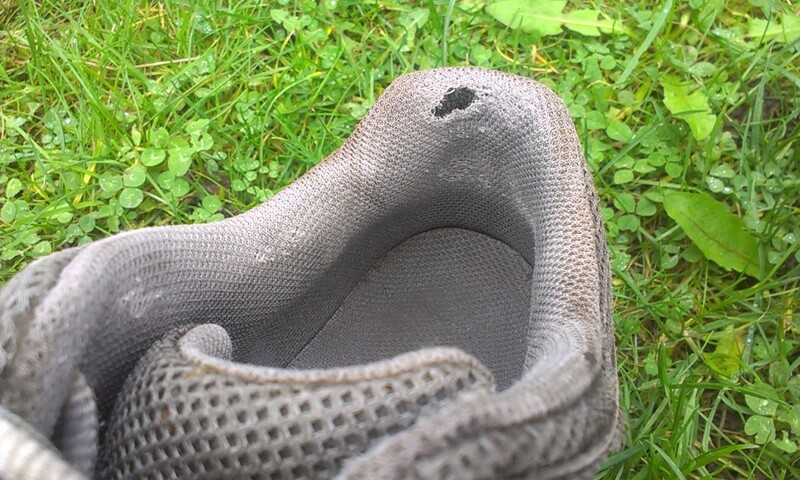 This, along with the 6mm cushioning should mean that your feet don’t hurt after a long run even if your legs do! 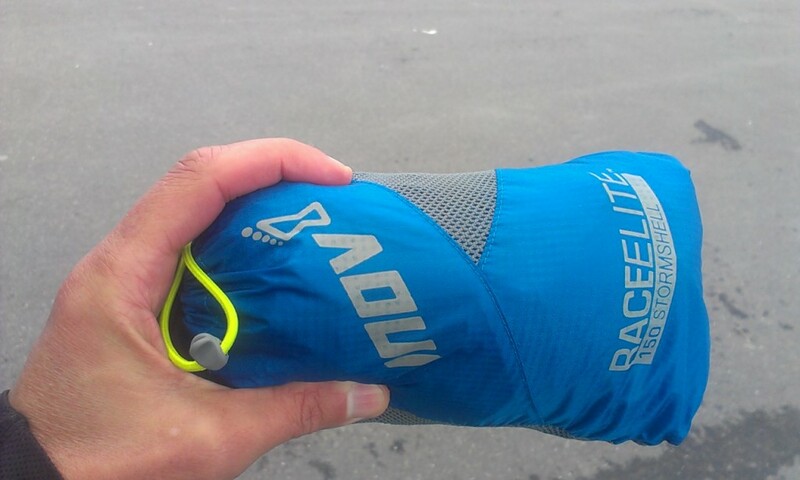 An 8mm drop – 2 arrows for those familiar with Inov-8’s system – gives a good compromise of responsiveness and protection (runners who prefer a lower, more responsive feel can opt instead for the Trail Talon 250 with its 4mm drop). 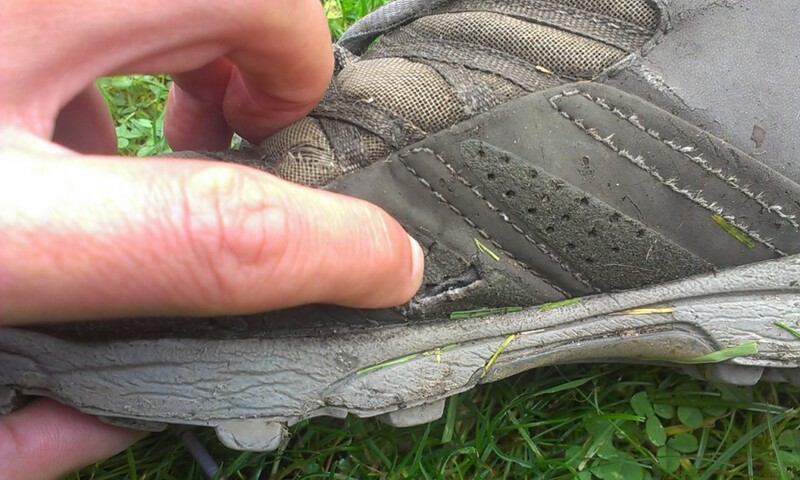 Despite being at its best as a dry weather shoe the 4mm lugs give enough grip to cope with the odd muddy patch that hasn’t dried out. The Trail Talon 275 is an ideal shoe for running long distances on hard packed terrain, giving a balance of comfort, cushioning and grip. 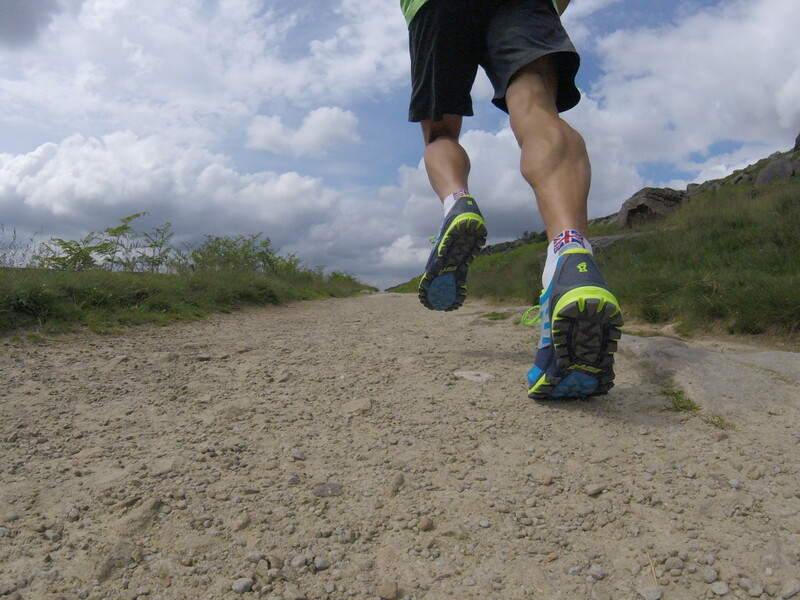 It’s the sort of shoe to wear on those long, dry, dusty trails – long live the British Summer! The selected routes range from 5km to 17km in length and vary in difficulty in terms of type of terrain and amount of ascent. 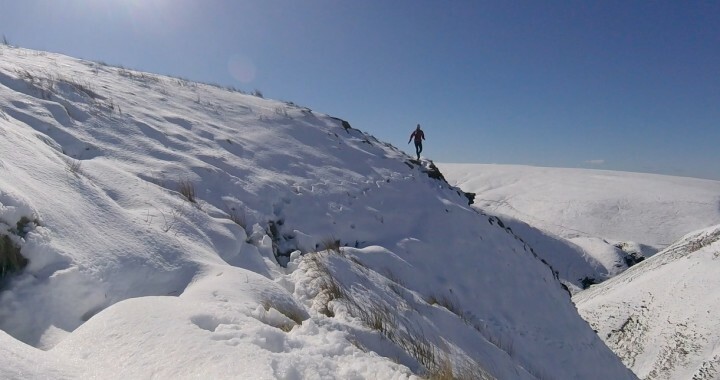 Each run includes a brief description of the route including distance, ascent, navigational difficulty and estimated time to complete whilst an altitude profile shows you where you will encounter the ups and downs. A more detailed description breaks each route down into legs with easy to follow directions which are clearly marked on the Ordnance Survey 1:25,000 map extracts. The softback book is well set out with the shortest runs at the front, the longest at the back making it easy to flick through and find the one you fancy. 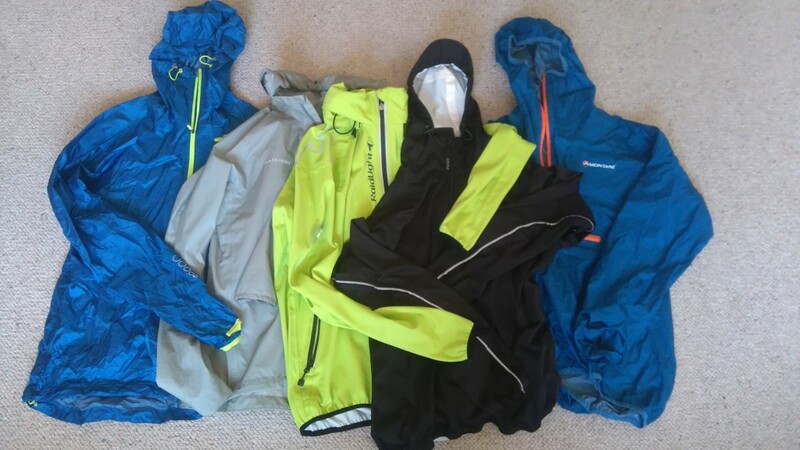 It is useful for runners of all experience and ability and is ideal for anyone planning a trip to the Lakes who doesn’t want to plan their own route. Packed with colour photos it is interesting to read and makes a great addition to any trail or fell runner’s library. It is even small enough to stuff into your bumbag! 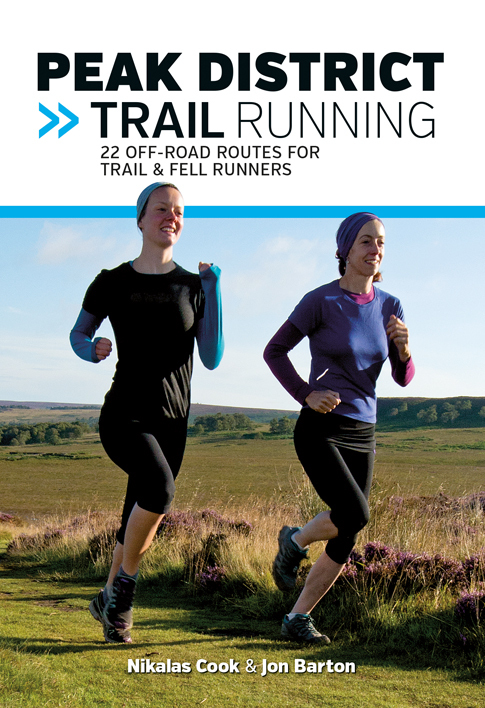 Also check out the sister publication Peak District Trail Running: 22 off-Road Routes for Trail & Fell Runners. 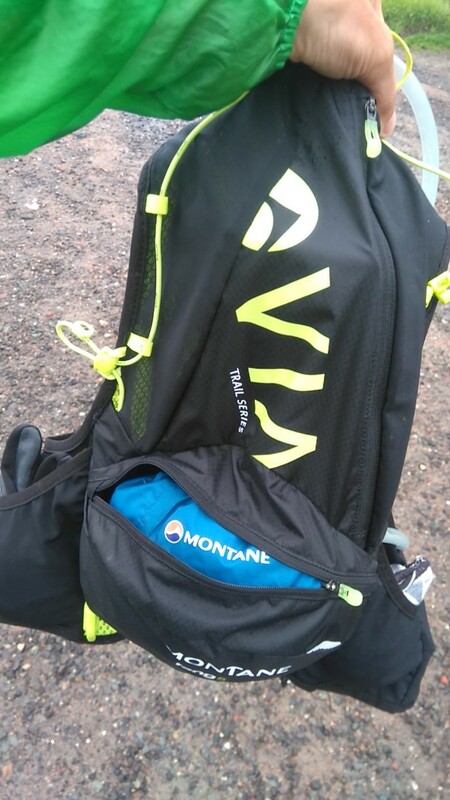 I have used a Montane Jaws 10 running pack for a while now on long training runs, certain long races and for my day to day running work and so I was interested to see what changes had been made for the 2016 updated VIA Trail Series. Here I test the smaller Fang 5 pack. The VIA Fang 5 pack comes in two sizes: S/M and M/L. I have the S/M which weighs 270g when empty. 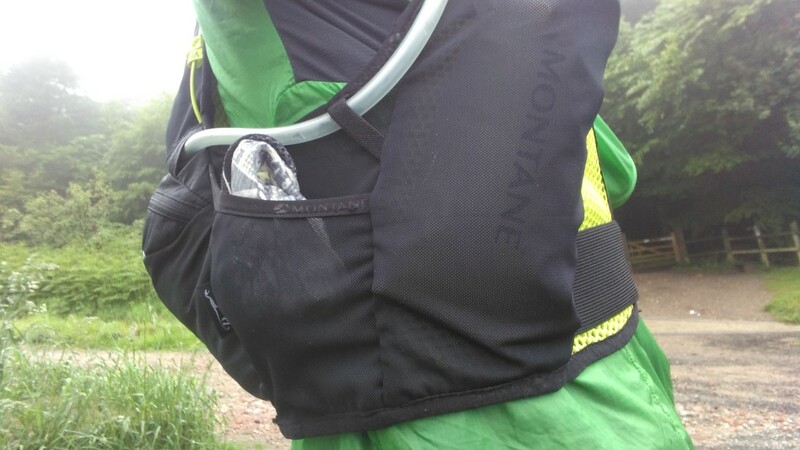 The most notable feature of the new Trail Series version is that it no longer uses rigid water bottles affixed to the shoulder straps, but opts for twin 500ml soft-flasks (supplied) instead – so no more sloshing! These are housed in pockets on the front straps of the pack, one of which is zipped, the other an open top stretch mesh. Above these are two smaller pockets, again one with a zip the other open topped stretch material. With the soft-flasks stashed in the lower pockets the upper ones are ideal for storing gels, compass, phone, car keys etc. The zipped pocket contains a small emergency whistle which can be removed if required. 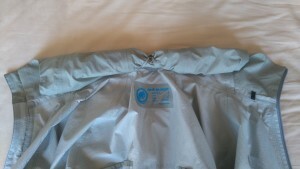 In addition to the four front pockets there are also two stretch pockets, one on either side of the pack above the hip. 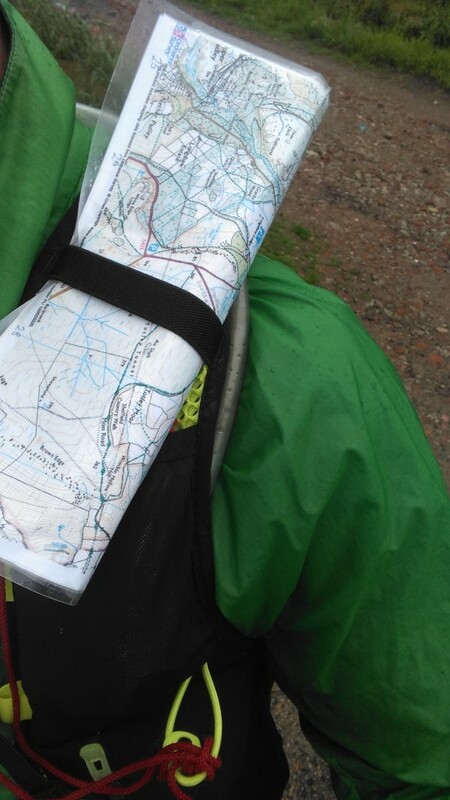 These are easily accessible whilst wearing the pack and are ideal for storing hat, gloves, food or a folded map section. 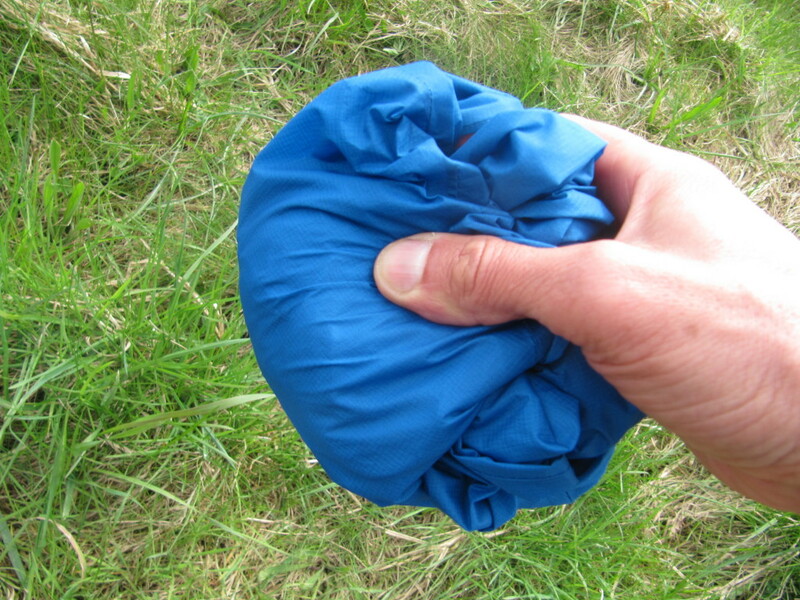 Although the Fang 5 comes supplied with two soft-flasks there is also the option of using a bladder (not supplied). A large rear pocket with hanging loop will house a 1.5 litre bladder whilst loops on the right hand side of the pack retain and route the hose. 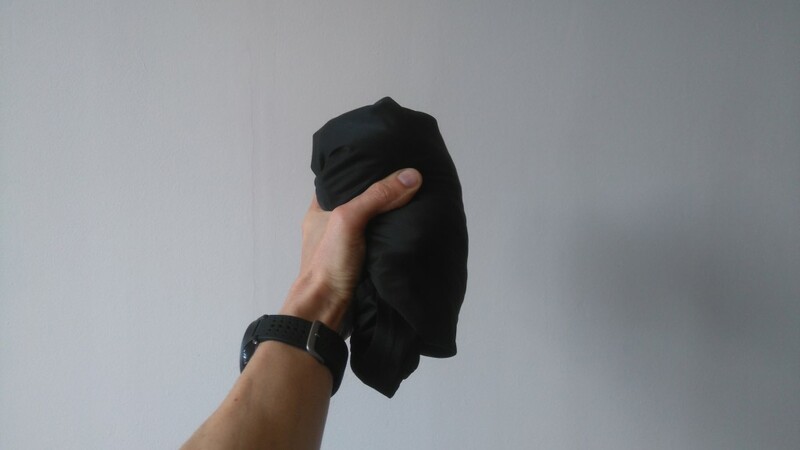 If you choose not to use a bladder, this pocket can be used for additional storage but you’d need to pack it carefully as the mesh material offers little in the way of padding. 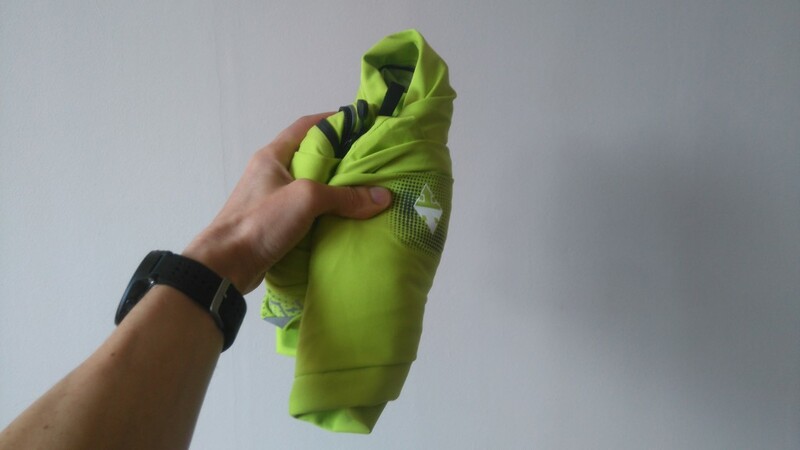 Low down on the back of the pack is a zipped, water resistant pocket that is large enough to carry a set of lightweight waterproofs. This ensures that the bulkiest items are carried low down and adds to the pack’s stability. An elasticated bungee cord allows the pack to be cinched down if required although I have never needed to use this. 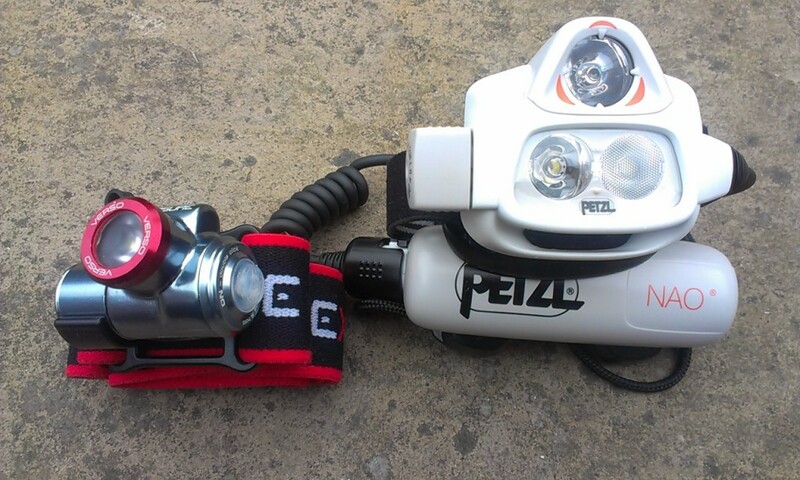 Two smaller bungee loops form an attachment point for carrying poles; not something I would use in fell running although the higher loop makes a handy attachment for a compass lanyard. 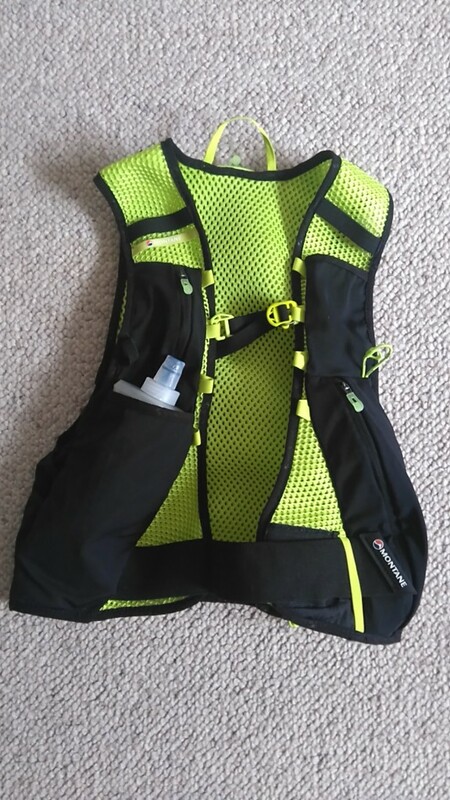 The pack is fastened using a wide, elasticated hook and loop belt at the waist and an elasticated chest strap that can be adjusted by clipping to any of four attachment points on the front straps. The elasticated waist belt allows the pack to be fastened snugly and because the belt stretches, along with slight elastication in the main chassis, the pack expands with your ribcage rather than feeling constrictive. 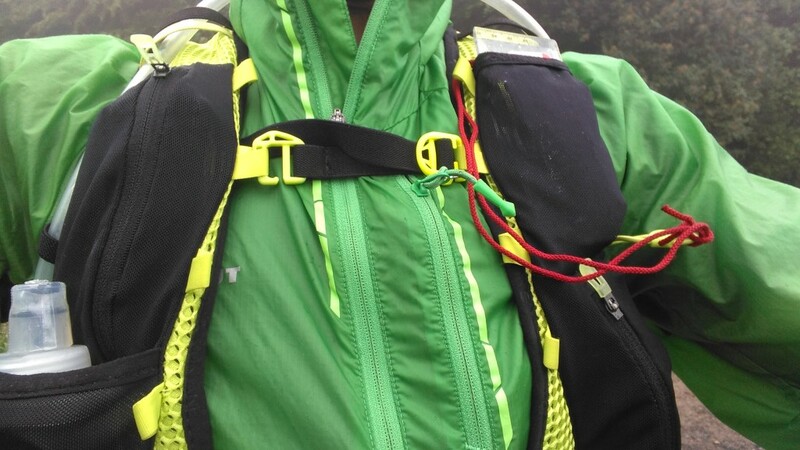 On the top of each shoulder strap a small elasticated tab allows a rolled up map to be carried and forms a retaining point for the optional hose system. The Fang 5 is a very comfortable pack. 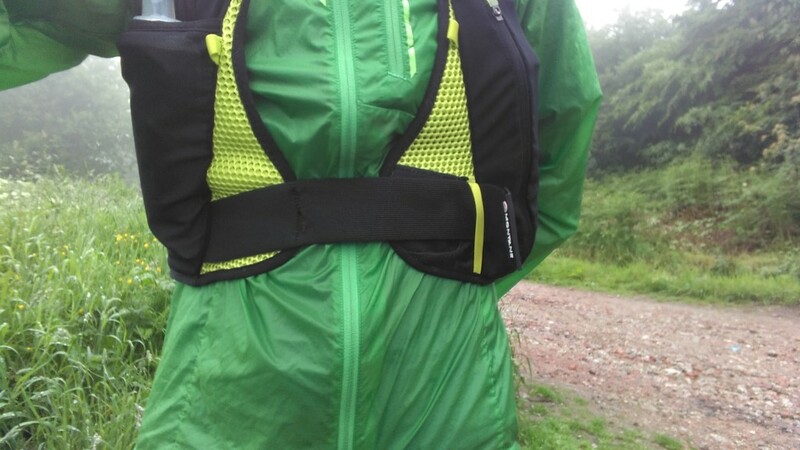 I like the way the elasticated waist belt can be fastened tightly so that the pack fits snugly and doesn’t bounce around when running quickly or whilst descending. Despite the snug fit the Fang doesn’t feel constrictive, if you bend forwards to adopt a hands on knees approach to attack steep climbs the elastication in the pack adapts to your change of position rather than restricting your movement and breathing. The amount of pockets and hydration options make it a really versatile pack. There is plenty of accessible storage from the hip and front pockets and using both soft-flasks gives you up to a litre of drink. 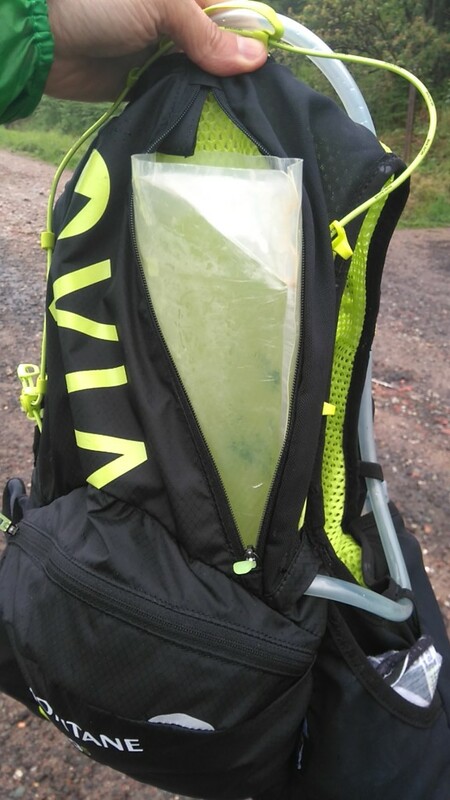 Take just one soft-flask and you have another spare pocket or add a 1.5 litre bladder and you have enough fluid for a long run or race where replenishing water supplies is an issue. Very little. If I was being picky I would say that the hook and loop material sometimes snags on things such as other pieces of clothing and so I find it best to store the pack with the waist band fastened. 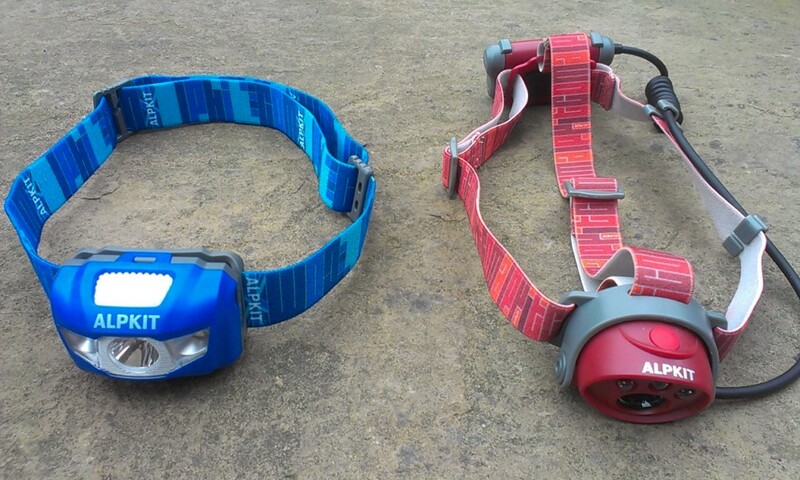 The chest strap only fastens on the right hand side meaning you need to undo it with your left hand, whereas my older Jaws pack fastens on the left so it takes a little getting used to. The new Fang is ideal for long training runs or longer races when I want to carry more kit than I can comfortably fit in a bum bag. 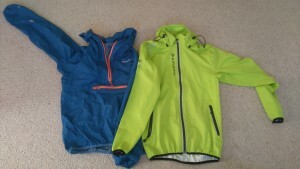 It would be a good choice for long days out or 24 hour attempts such as the Bob Graham Round. 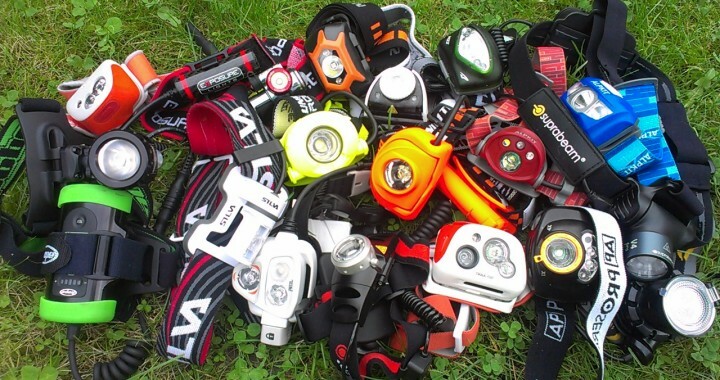 I used it on the Marsden to Edale “Trigger” race when the bad weather conditions meant that I wanted to carry more kit than on a normal race. The race required frequent use of map and compass which were easily accessible in the front pockets, much more so than with a bum bag. A comfortable, versatile pack with lots of storage options. I’ll use it a lot. 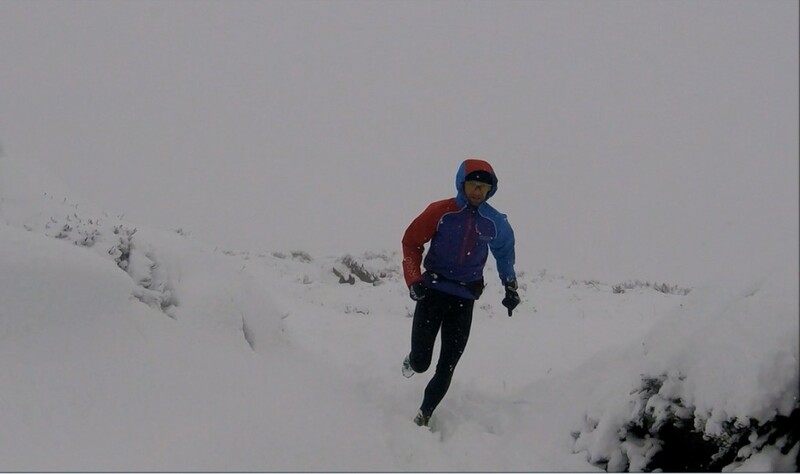 There is something special about running in snow. 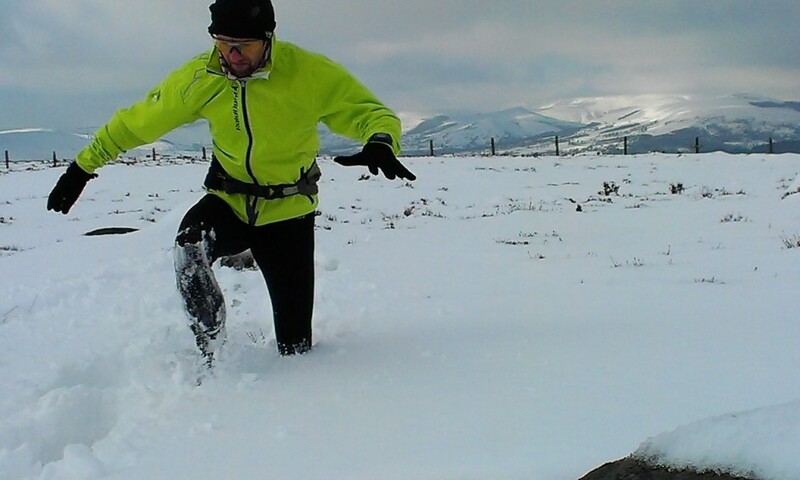 Maybe it’s because our winters tend to be wet and windy with muddy conditions underfoot that I relish the chance to run in the snow. It brings a welcome change to the ordinary, a different challenge, a break from the routine. When snow is falling the world shrinks, visibility drops and the sky loses its form. The boundary between earth and sky blurs and the horizon disappears. With paths obscured even the most familiar of trails become alien as the landscape becomes uniform and it is difficult to judge distances. The only colour that exists is on my clothing, the rest of the world is monochrome. Falling snow muffles sound, the only ones I hear are the ones I make; my footsteps creaking in the fresh snow, my breathing, my heartbeat on the hard uphills. After the snow comes a different challenge. The well trodden paths that I usually take become buried and there is no such thing as an easy run. I struggle to lift my feet clear of the drift, gratefully find a patch of hard snow that takes my weight and tentatively begin to run, trying to make myself light. A few metres gained and crunch, I’m up to my thighs again and the process starts over. 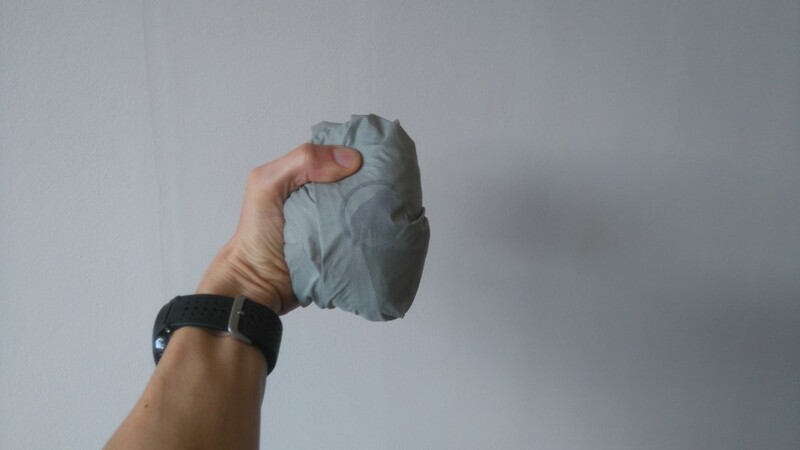 Who needs the gym, this targets muscles that are rarely used – and it’s free! There is something rewarding about breaking a trail. Of standing there with virgin snow ahead of me and being the first person to set foot on it – being my own pioneering explorer. And when the weather system has passed leaving its white blanket covering the landscape and high pressure brings clear skies and freezing temperatures, those are my favourite conditions. They are a complete contrast to when snow is falling, now colour returns and the sky is impossibly blue, the horizon stretches for miles and sound carries on the still air. 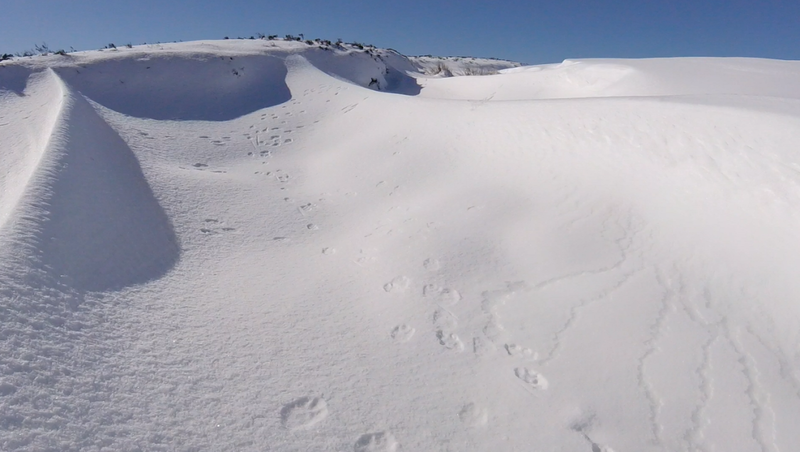 Shapes and shadows appear where snow lies, sculpted by the wind. I long for conditions like this and on those rare, precious days when they occur I head out into the depths of the Peak District. In midweek it is possible to spend a day out without seeing a soul, being more likely to encounter a mountain hare making the most of one of the few days when conditions suit its winter coat. All too soon the mild air returns, the snow thaws and the landscape reverts to its customary winter condition – damp and grey. But the memories remain long afterwards of those few precious winter days and my adventures of running in snow.